Nowadays, with the evolution of technology, services that make it possible to make various tasks "easy" on the Internet have increased. There are many services that can be used to create logos, business cards, business documents, even websites, etc. In the meantime, I would like to introduce about the service "DesignEvo" that lets you easily produce high-quality logos that can be used in business, just by setting some necessary items such as corporate name and business slogan. First of all, you need to access https: //www.designevo.com/. Then click on the button “Make a Free Logo” on the homepage, and you will go to the logo creation wizard screen. Here you will see many logo templates that are grouped by categories such as technology, fashion, food, letter, sports, business, and finance. Select a category that matches your company, and the templates will be listed at the right of screen. You can choose one that you like the most and enter the company name to get started. After selecting the favorite logo design in Step 1, you can go to edit the logo to your liking. You can move icons and text freely by dragging and dropping, or change the size, font, and color of letters. Try a variety of combination until you are satisfied. Before this step, you can preview how the logo will be presented for various usage scenes such as business cards, envelopes, letterheads, and t-shirt, making it easy to imagine usage examples. If you are satisfied with what you do, select "Download" and export it to your computer. The fee is free if it is a small size. Also, because it is a very small JPG/PNG file with a width of around 500px, you will need to settle the payment and get a high-resolution file when using it for printed matter. In that case, it is better to purchase a basic or plus plan which includes 5000px logo files. 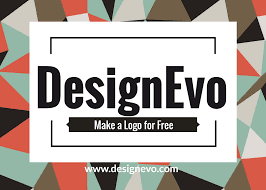 You can use DesignEvo without registration, but if you need to save logo for later editing or purchase a premium plan, you need to create an account. It is also possible to login with your Google or Facebook account! As the flow of production ends with only a few minutes, DesignEvo can be an excellent logo production service that helps to create a high-quality logo very quickly, and intuitively. The logo you make can be used for websites, blogs, business cards, printed materials, etc. Whether you want to make your service or corporate logo on a low budget, the DesignEvo online logo creator may be useful in a surprising way. Hi there mates, its impressive post concerning teachingand entirely defined, keep it up all the time. Sweet web site, super design and style, very clean and employ friendly.